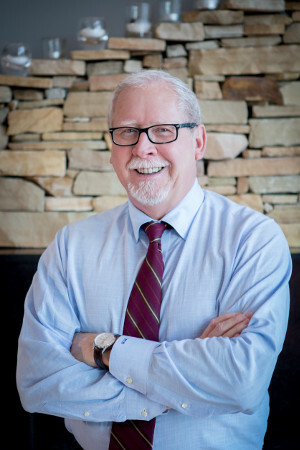 Michael Wofford is a banking technology consultant with over 35 years of experience in financial institutions, public accounting, and consulting. He has led financial institution consulting engagements throughout the United States in technology, operations, transition management, and financial reporting. Michael’s experience in the financial industry includes being a CFO of a community bank for fourteen years where he managed an initial public offering and worked as a consultant with over 100 clients. He was previously the manager of transition projects for Bank of America, and also served as an internal consultant with Wachovia. He began his career in public accounting with Arthur Andersen. Michael has extensive experience with technology and project management. After more than 10 years of leading transition, implementation, and conversion projects in banking he spent the next 10 years advising community banks on technology assessments and plans, selection projects and contract negotiation. He also assisted numerous financial institutions with developing three-year technology plans and specialized in leading core system selection projects. In addition, he successfully managed projects related to workflow analysis, process improvement, reengineering, and process redesign. Other technology projects include working with organizations to realign their financial reporting, with a focus on managing by geography, division, or line of business. Additionally, Michael facilitated the planning process for strategically integrating document imaging throughout the bank’s operations. Michael is a former licensed CPA of South Carolina and has an MBA degree from the University of South Carolina. Contact him today to learn about the solutions he can present to your business!